Possibly first ever golf clubs made in New Zealand will come under the hammer at Sotheby’s auction in London in a fortnight. 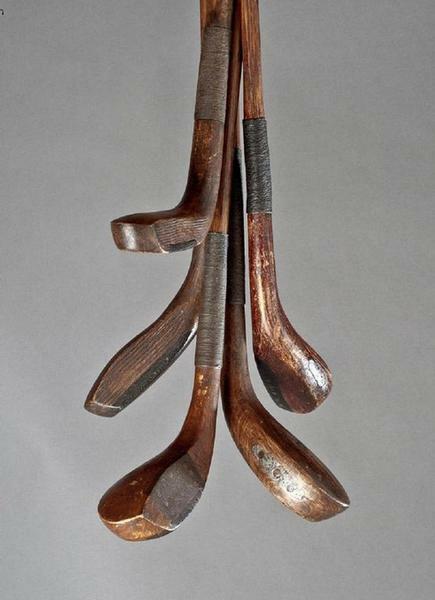 A very rare collection of wooden golf clubs were made in the days of Scottish settlers beginning a new life in Otago, auctioneer Graham Budd, who is organising the sporting items at Sotheby’s New Bond St sale room in Mayfair on May 15. ``These clubs are probably the earliest known examples of traditional hand-crafted club making from New Zealand. Two clubs are stamped with the surname Dunn. They are constructed in the traditional long nosed style of the feather ball era but with the hickory shafts attached by the later method of socket joints as opposed to scared necks. ``The timber of the club-heads is unfamiliar and presumably a suitable local timber was selected. The group comprising play clubs and spoons, but with the fifth club probably best described as a walking stick rather than a cut-down putter. One club has a hairline crack but overall the group is in good condition,’’ Budd said today. The first golf club formed in New Zealand was the Otago Golf Club in Dunedin established in 1871, at the Balmacewen. The clubs at the auction are expected to fetch up to stg600 pounds. The Otago owner did not wish to be known, Budd said. ``The group of five golf clubs were discovered in the Deep South in a small farming village in a region that was dominated by Scottish settlers, as is evident from the local place names such as Duntroon, Balclutha, Invercargill, Clyde etc. Also under the hammer at the auction will be a nine carat gold and enamel medal commemorating the Wigan rugby league club's victory over the New Zealand team in 1907. The medal could fetch up to stg800 pounds. 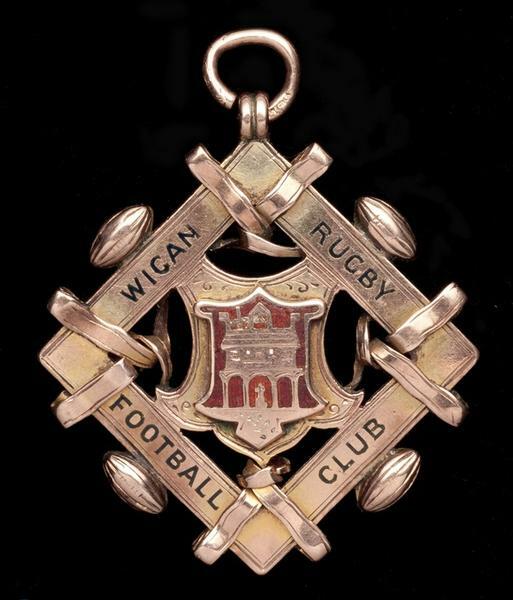 The medal is inscribed: Wigan Rugby Football Club, first defeat of the New Zealand team, F Battersby 1907. A then record crowd estimated of 30,000 spectators packed into Central Park on November 9, 1907 to see the first ever New Zealand rugby league touring team. Wigan won 12-8 and each player received a gold commemorative medal. The New Zealand team played 46 matches on tour which lasted 10 months. The Wigan game was New Zealand's 14th match of the tour and up until that point they were undefeated on English soil.